A coming of age comedy/drama for the post hip hop generation. Malcolm is a geek, carefully surviving life in The Bottoms, a tough neighborhood in Inglewood, CA filled with gangsters and drug dealers, while juggling his senior year of college applications, interviews and the SAT. His dream is to attend Harvard. A chance invitation to a big underground party leads Malcolm and his friends into an "only in Los Angeles" gritty adventure filled with offbeat characters and bad choices. If Malcolm can persevere, he'll go from being a geek, to being dope, to ultimately being himself. 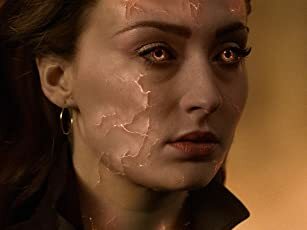 It's hard out here for a geek. Malcolm: Soon the world is only going to buy and sell products using bitcoins. In the 1990s, all you had to do to get the latest fashion trends was shoot the person wearing the clothes you wanted. Unfortunately, as this dramedy confirms, nowadays you have to actually purchase your Air Jordans. When a local pusher (A$AP Rocky) asks him for a favor, '90s rap aficionado Malcolm (Shameik Moore) and his friends (Tony Revolori, Kiersey Clemons) find themselves sitting on a backpack of MDMA belonging to a Harvard alumnus (Roger Guenveur Smith). Although Malcolm agrees to sell the powdered Molly for the cultured kingpin, in exchange, he wants to be accepted into the Ivy League university. 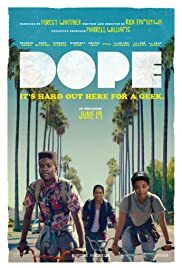 A satirical commentary on the limited career choices for African American males, Dope is a smart and stylish coming-of-age anecdote with notable cameos, an imposing soundtrack, and a charismatic young lead, that never feels preachy or accusatory. Incidentally, you only have to sell inhalants to get accepted into Yale.